I had a little trouble with my project. I used these fabric sheets and followed the directions to make the ink color-fast. It didn't work for me. After I washed my project (I hand washed it carefully) the ink smudged on all my words! Argh!! So I took the words out. Oh, yes I did...And it took a long time! I made the new words by ironing fabric on freezer paper and running it through the printer. The words faded some when I hand washed it, but at least it isn't smeared. The words I chose are from Galatians 5:22, which are the fruits of the Holy Spirit. I am very much a work in progress on all of them. Some more than others, like self control and patience. *ahem* Having them where I can see them all day has helped me to meditate on them and think about how I can be more kind to those around me, or use a more gentle tone when talking to my family when I am frustrated. I would love to know if anyone has used these fabric sheets for a project and if they had any tips on how I can use the ones I have left successfully. I hesitate to use them at all, at this point. Make sure you go see what these lovely ladies made for today's blog hop and be inspired! Quilt, very cute quilt and lovely words, thanks for sharing! So glad you were able to redeem your project, I can't wait to see your sewing room reveal! Love your quilt and the words. Great idea! Sad, that you had problems with the ink, but you did a great job taking them out and putting new ones in. I have never used the special printing sheets. I use the freezer paper method - it fades a little, but softens it in my opinion. Lovely quilt that has great inspiration. Oh no - glad you got it sorted in the end. I havent tried the sheets so cant help I am afraid. I love your finished quilt though so it was worth all the effort! It turned out beautifully, it was worth all of the time that you took to re-do after the problem with the printed words. Wow, Amy. You solved a problem for me (I was going to buy some of those expensive sheets) but I'm sorry they didn't work as promised. I used to print on fabric as you did the second time and it works fine. The key: the longer you wait to wash, the more permanent the ink becomes. I LOVE your use of the Fruits of the Spirit words - now I want to make one of those for myself. I need a constant reminder to behave myself (the older I get, the harder it is). Thanks for sharing such a beautiful take on those words. It's beautiful. Your quilts always are. Beautiful, inspirational quilt! I'm sorry you had so much trouble with the smearing. You could add "perseverance" to your quilt because you didn't give up! Sew pretty and soft looking. Love it! How frustrating! Your project turned out great after all the extra work you had to do. It is great. Having it hang where I could see it each day would be a great inspiration. Thank you for sharing! Your quilt is beautiful, I would not have known that you were having troubles with the fabric sheets, your project is wonderful! This little quilt turned out so beautifully! I'm not sure I would have had the patience you did with the ripping out. If you ever want to try the fabric sheets again, I've had very good luck with the Jacquard ones. very sweet project - thanks for sharing! Very nice quilt. I like the softness of the pastel colors and the words are a wonderful addition. Too bad you had to rip them out and do them over. I like the softer faded words better! They compliment your fabrics beautifully!!! So sorry for your problem, but you handled it with much patience! Beautiful work! I use these fabric sheets all the time. You don't actually wash them right away(or I don't). I seal them with heat from the iron first. of course: follow instructions on your pkg. they could be different. Then I sit them in the sink for a short time in cold water. Then dab off excess water and back to the iron to dry. That's it. thanks for sharing with us. your piece looks wonderful. And better luck next time with the sheets. How sad that you have so much trouble, but your finished project is just gorgeous! Congratulations on being a pick of the day! Great job! I use the sheets all the time, but for photos, and have never noticed and smudging. Don't you hate it when things go wrong? It's a beautiful project though, and will be a great treasure to have! I've never used the sheets, but the idea fascinates me! Your words are wonderful, powerful reminders, and the project is beautiful. I love your project, as usual, the colors are so soft and calming. I haven't tried printing on fabric yet, it's on my to do list this year. So I will be interested in the answers you receive. Thank you as always for sharing with us. Have not tried printing on fabric either! LOVE this quilt- simply perfect- Thank you for sharing it- I find it very sotthing. My jaw just dropped when your words came up - spectacular! I have used the printer sheets for photos on a banner I did for a girlfriend with her grandaughters from photos on Facebook (it was a surprise). They came out pretty good - sepia type. Amy-LOVE your words, so inspirational. 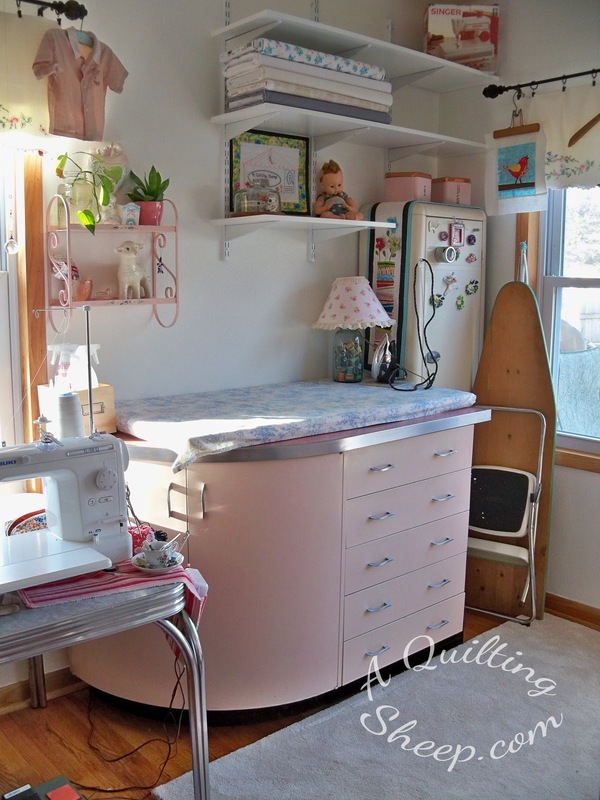 I'm planning a sewing room re-vamp as well. 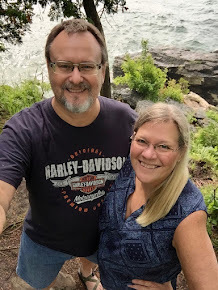 Actually I've never had a sewing room but shared a room in the garage with my husband's motor cycle and more recently with his exercise machine, which he seldom uses. But now with an "empty" nest I will finally have my space. Thanks for sharing. I think the success with printing on fabric has more to do with the printer ink than with the fabric - some inks will smudge even on paper - for fabric printing, I like Epson Dura Brite Ultra ink. just wish they had a version with larger ink cartridges! Love your words of inspiration - thanks for joining the blog hop! Really great words. Several that I could look at every day and benefit from. Thank you and thanks for the giveaway. Hi!!! Your project and your words are wonderful!!! Thanks for the fun!!! Amy, it is beautiful! I love all the words and colors. I've been lucky using Blumenthal Lansing Crafter's fabric to run off my labels. I admire your persistence. I get discouraged too easily sometimes. Your gorgeous finished product shows the value of not giving up. Love everything about it, the colors, the quilting, everything!!! Very nice and thanks for sharing. Love all your words. I have used those sheets before and not had a problem but I have mostly used them for small wall hangings and not washed them. what a pretty hanging! I really admire you for removing the smudged words, I think I'd have just had a tantrum! Lovely Quilt, so soft, beautiful and inspirational. God's Words are always best! Thank you for feeding my spirit. I don't like the printed fabric from printer, so I do as you do. Love the soft colour pallet and the font you used for your words. Very inspirational. How soft and pretty looking! Very pretty, Amy. I don't use those sheets as my printer smudges on just plain paper. Ugh! It would be nice to do a 'picture' quilt one of these days, but, I'd have to find someone with the correct type of printer, and borrow it. Oh well. I read with my jaw dropped at how much patience you had! I do not know what I would have done but you have now shown me that where there is a will there is a way! A tutorial on taking a block out of a finished quilt like you did and then replacing it would be so useful! How wonderful that the word for that block was patience! Guess someone has been praying for you to have patience...seems to be working!!! So frustrating to have your project go awry, but you certainly pulled it out and did a fabulous job!!! Your quilt project is just amazeing. Now about the ink smearing and messing up that is just not good at all. I know you have got to be sew heart broken. I am heart broken for you. After all that hard hard work.Thank you for shareing yoru project with us. such a pretty quilt. The colors are so soft and inviting and the words are perfect, one of my favorite pieces of scripture. Thank you so much for sharing. very pretty. I have not used those sheets. I love your fruits of the spirit quilt. What a lovely reminder for us all. Thanks for sharing! I used to look at the Fruits of the Spirit as a check list of sorts, but it isn't that- it truly is fruit of our life with Him. I love the way they are all intertwined- fruit, not fruits. If I grow in gentleness, I will be patient and kind. If I grow in self control, I will be joyful and full of peace. Lovely quilt! I can't imagine having to redo the word blocks. Go you! Rosemary B here: I love this. I love Galatians 5:22. This is really a very beautiful creation. I need to remember to come back tomorrow to see your sewing room! Sorry you had a problem, that sort of takes the fun out of things. But I think it turned out beautiful. Beautiful words to live by and a beautiful quilt! Sorry you had problems with the fabric sheets. That is so frustrating. I was going to say you exhibited great self control when re-doing your words! Your quilt turned out beautifully - well done, and something to be proud of each time you see it. Great job on a beautiful project! In spite of the issues you had with your project,it turned out quite lovely! From your story,it seams to me that you have plenty of patience :) I have used those sheets before,but have not had a problem. What a wonderful quilt; lovely. I liked that you used different fonts for the lettering. Isn't "Joy" adorable. I've not used those sheets but I'm sure sorry to hear about the smudging. Your patience is impressive - absolutely beautiful work! Your quilt is so amazing! So soft and lovely looking. Great inspiring words and love how you used all different fonts. I have not printed on any fabric yet so it's great info to see what works and what doesn't. Thank you for sharing your project with us, awesome job! I've used fabric on freezer paper but not the fabric sheets so I'm no help. Sorry. Your perseverance paid off. Your quilt is beautiful! Beautiful! I love this! It's so soft looking too. great job! Love what you`ve done. Beautiful words, beautiful project. And your sewing room is to die for! You did a fantastic job with it :) Jealous! lol. Beautiful project , lovely words! I also love your sewing room reveal , wow ! 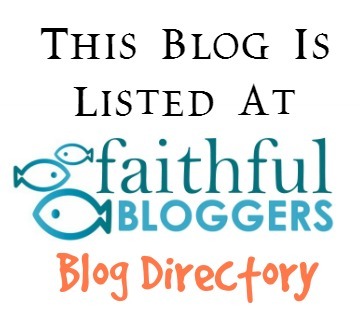 I'm in love with your blog! The lamb is so cute. I also just checked out your sewing room, which is to die for! I'm so jealous!!! I think your quilt turned out wonderful. I too, am a work in progress :) I haven't used that product yet, so I don't have any tips for you, but if I discover any in the hop, I'll come back and let you know. I love the quilt and think it looks great! Yikes! I haven't used them for a long time. You made an amazing project! Wonderful tutorial!! Thank you for sharing... this has been such a fun hop. I hope you'll check out my daily blog.. my day is the last day, tomorrow! Love your project. It looks so soft and inviting. Thank for sharing. Terrific job. Congrats on being one of the chosen.